SASKATOON – Defence wins championships they say. The Roughnecks are hoping it wins West Finals as well. Up against one of the league’s most potent offence, which is led by the NLL’s 1-2 scorers Mark Matthews and Robert Church, it’ll be up to the defence to try and control the pace of the game and limit their damage. The Rush are a familiar opponent and the Riggers have already played them three times this year, but even if they know what to expect, they’re not taking any shifts off. “We’re going to need to get on and off the floor hard on both ends,” said transition Zach Currier. “Offensively to limit their transition, and defensively we’re going to need to get off the floor to give our offence a chance to get some transition goals, as well. 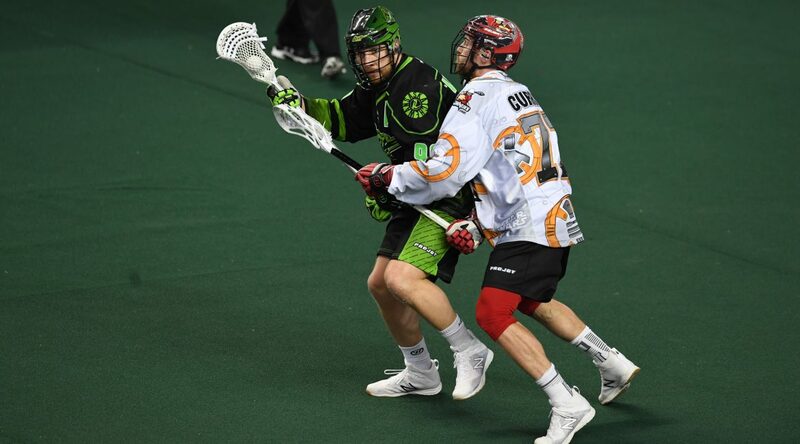 Currier, who scooped a record breaking 200 loose-balls in his rookie year, knows the importance of every possession.